IMV Europe publishes Stuttgart, Germany Vision Show 2014 award shortlist. 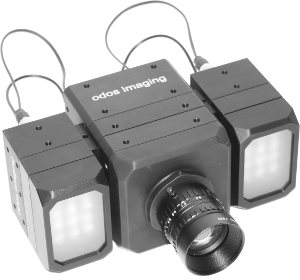 The only image sensor company in the list is Odos Imaging, with its high resolution ToF cameras. Real.iZ-1K (1.3MP) is the first system, released in 2014, while the higher resolution Real.iZ-4K (4.2MP) is to be released in 2015. Each and every pixel can be used to measure both ambient light and range allowing the systems to generate separate images of the scene in both range and intensity modes. The cameras including all the features of a conventional machine vision camera, with the additional benefit of individual pixel range measurements.